KCM has created three customised boxes – treasure chests – which contain artefacts from our collection. These boxes are available on loan to primary schools in Kerry. They are specifically designed to tie in with the curriculum and to bring a sense of discovery and scientific investigation to the classroom, kindling pupils’ curiosity by giving them a hands-on experience in history and archaeology. 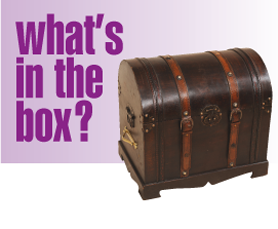 ‘What’s in the Box?’ was highly commended at the Irish Museum of the Year Awards in 2009. Each box is available to a school for up to one month and the accompanying resource materials are specifically designed to allow the teacher to pick from a menu in order to structure a class session – he/she can decide which objects to use and in what depth. 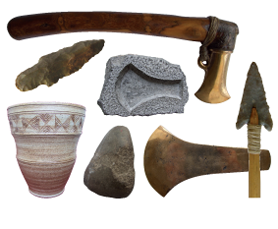 Contains Stone Age and Bronze Age artefacts discovered throughout Kerry along with replica objects and resource materials. 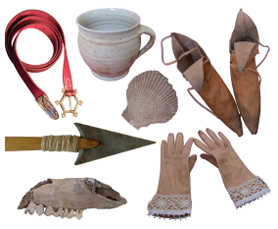 Contains artefacts from an excavation of a medieval tower house in south Kerry along with replica clothes, objects and resource materials. 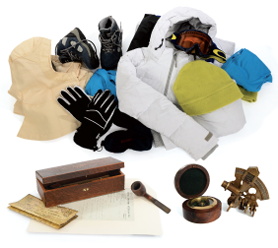 Contains items that help bring to life Tom Crean’s experiences in Antarctica which include replica Burberry outfit, scientific instruments, sailors ditty box, maps, books and resource materials.